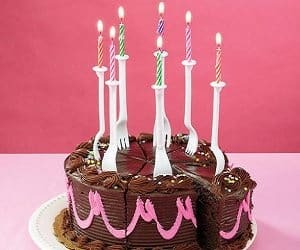 With these fork candles you can get stuck into eating straight away after they have been blown out! There's no messing around with these practical creations! Re-usable and perfect for parties.